Bouquets, Floral Arrangments and Gifts Baskets. Based in Peninsula Fair and Westfield Chermside Shopping Centres, we provide a personal touch for Birthdays, Gifts, Events and Special Occasions. 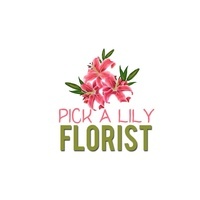 Pick A Lily Florist delivers to the Northern Suburbs of Brisbane directly and are able to deliver to the rest of the world through our partnerships with Interflora and Petal networks.